Underground R&B singer Shin Bo-kyung, better known as Boni, says K-pop’s rise has fueled the departure of underground musicians to the trendy music scene in an attempt to earn money and fame easily. This is the second in a three-part series about declining musical diversity in the K-pop scene. ㅡ ED. For Shin Bo-kyung, music is her life. Born to a hair dresser mother, also a music buff, the 27-year-old spent much of her childhood listening to various kinds of music at her mom’s salon with a broken microphone in one hand. Her inherent musical talent, especially in rhythm and blues (R&B), was recognized in 2006 by now-defunct duo band 015B, which set the stage for Shin to debut that year with the R&B song “Lost My Way for a Bit.” Having released a debut full-length album in 2010, she is currently studying postmodern music at Kyung Hee University. In a recent interview with The Korea Times, the underground R&B soloist, better known by her stage name Boni, said her wish in life is to work and play with music rooted in the Western gospel tradition. But she said it’s becoming increasingly doubtful whether her wish will come true. Boni checks her performance schedule during a festival for the U.S. Forces Korea in Seoul on Oct. 19. A recent report by the National Assembly shows that K-pop is oversimplified as a genre. Analyzing songs ranked on the Gaon Chart last year, the report said 82 percent of the tracks were “idol music,” which represents K-pop globally. Contemporary pop music came next in portion with 8 percent, followed by original soundtracks with 5 percent, hip-hop with 1 percent, rock with 1 percent and folk music with 1 percent. R&B took less than 1 percent, according to the report. It said neither U.S. Billboard Chart nor European charts had a single genre taking up more than 50 percent of the chart. Boni sings during a festival hosted by the U.S. Forces Korea, headquartered in Yongsan, Seoul, on Oct. 19. What’s worrisome is that there are many critics who are reluctant to define idol music as a genre, citing a lack distinctive musical identity. They insist idol music is like a “spaghetti bowl” in which various music genres including dance, hip-hop, rap and R&B are all mixed up in one category. She is working to release her first all-English language album during the second half of next year at the earliest, in an ambitious move to expand her presence into overseas markets. Prior to this, she will release sample songs through YouTube, iTunes and other global music file sharing Websites such as Datpiff.com, in an attempt to monitor the responses of overseas listeners. In fact, she found a bigger possibility of success in the U.S. with her performances for American troops here. 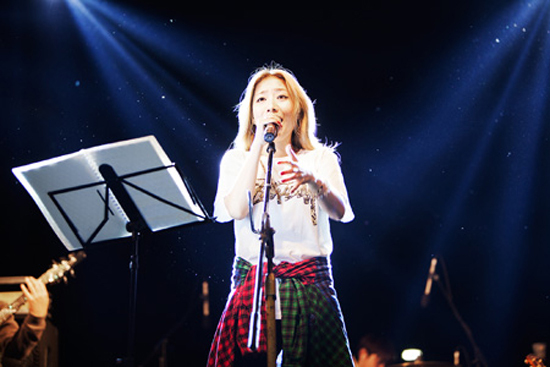 Boni is one of the most sought-after Korean musicians for them, according to her management agency chief Yeom Jung-bong. “I took to the stage for U.S. soldiers for the first time last year at the invitation of a U.S. Army official, who was a big fan of my music, especially ‘ResQ Me,’” she said, referring to the lead track of her 2010 debut album. Boni said “ResQ Me” is the most loved of her songs among American soldiers, adding that it will be on her inaugural album with all songs sung in English. She said her wish for her career is to have an opportunity to work with renowned U.S. R&B production duo, the Underdogs.